In our minds, May = Beautiful Weather = Picnics! Be it in the Hollywood Bowl, on the beach, or in the park, we have everything you need for the perfect picnic. 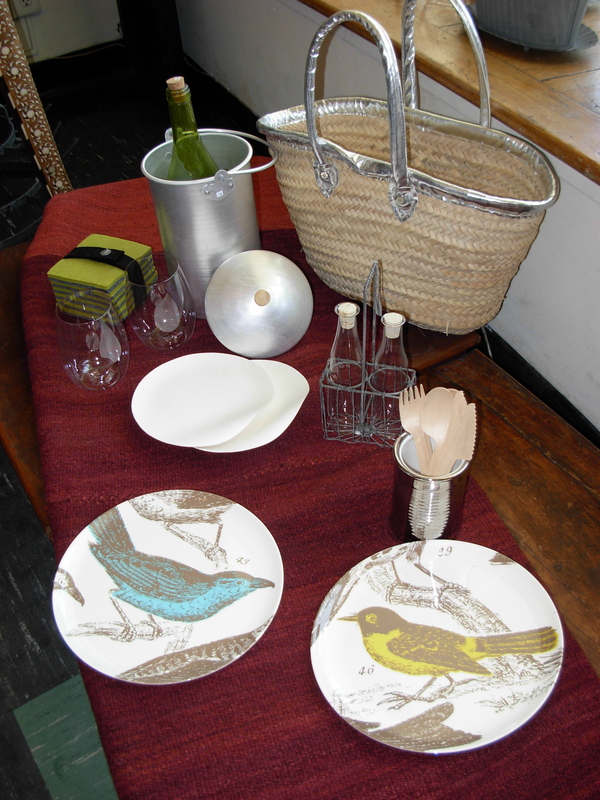 We've got plastic bird plates, bamboo silverware, oil and vinegar jars in a cute carrier, biodegradable plates, wine coolers, and a great tote to carry it all! 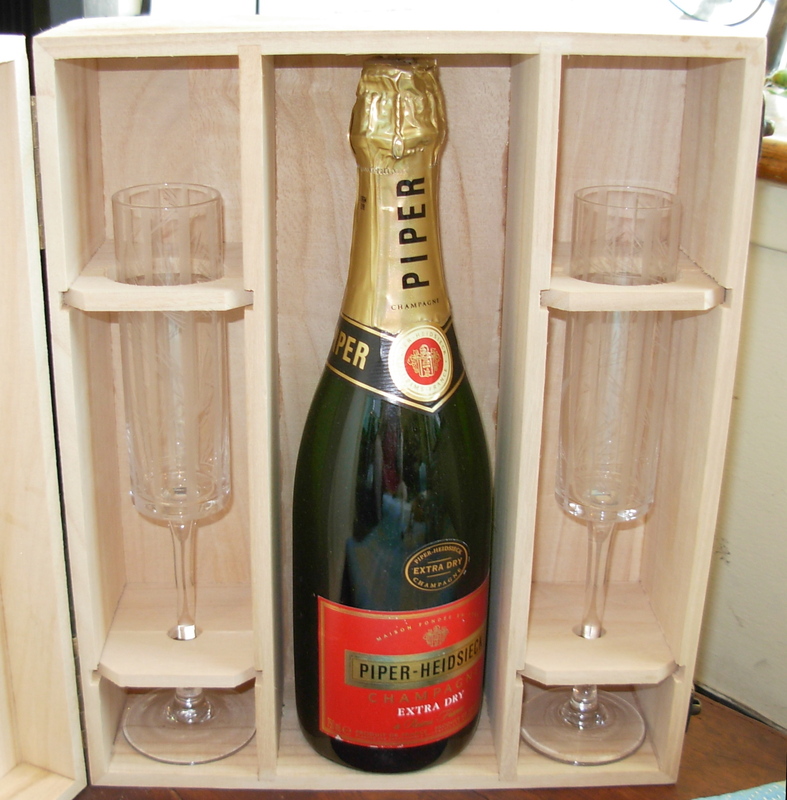 Our plastic Govino glasses are stylish and ideal for a non-breakable basket! 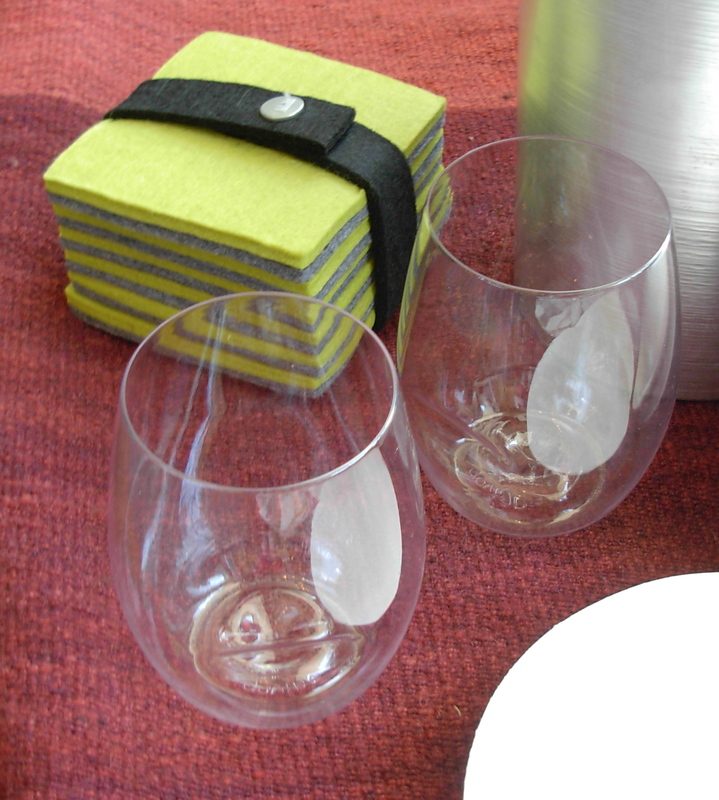 Felt coasters will keep the ground even beneath your drink. 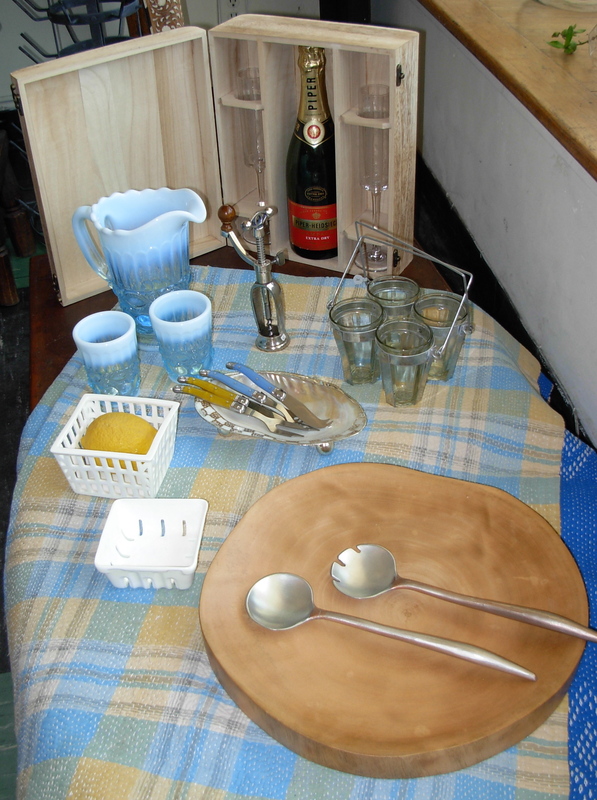 Just the things for a pretty meal outside: ceramic fruit containers, classy corkscrews, polished wooden platters, and beautiful glassware. This nondescript wooden box holds quite a treat inside! 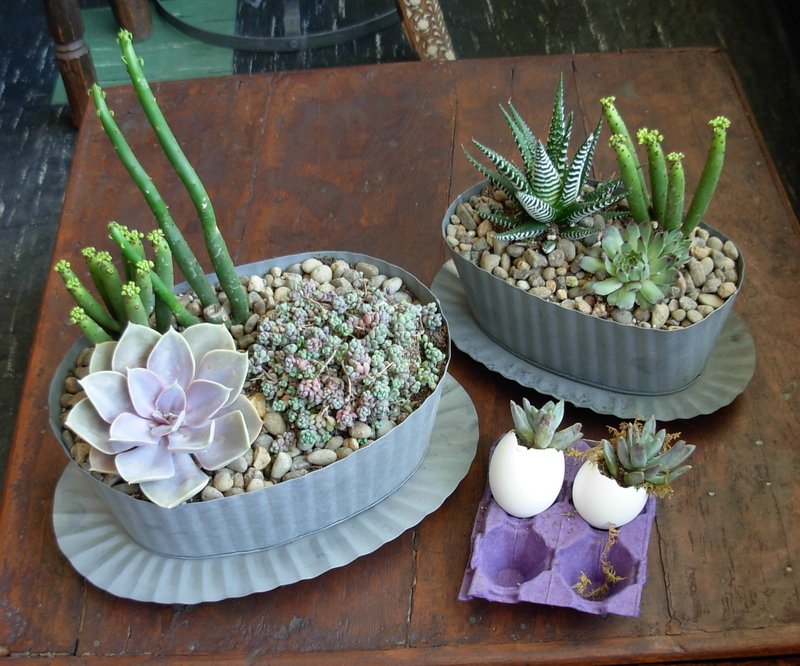 We’ve also got gorgeous new succulent plantings, some of which are delicately placed in egg shells. Mayday! 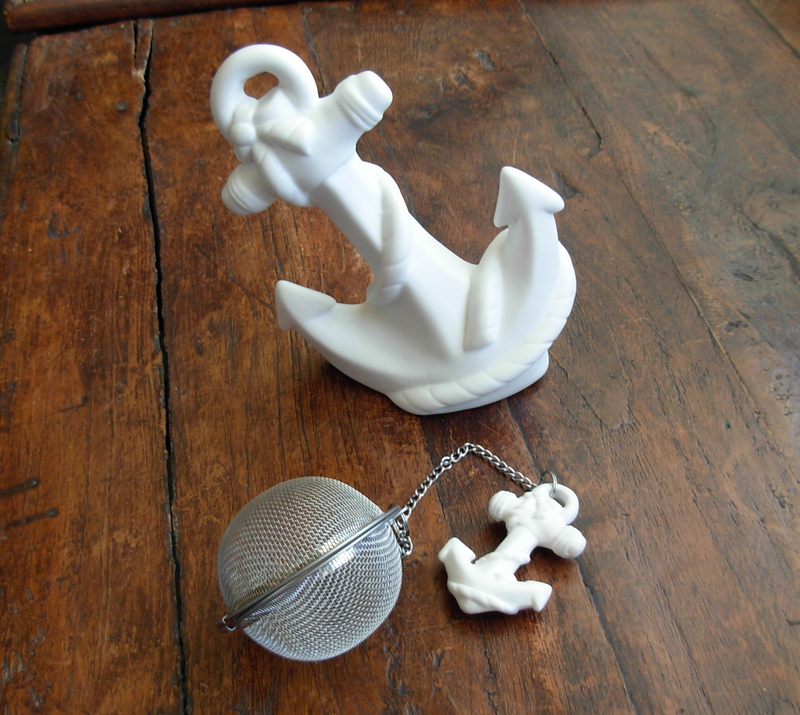 We’ve got more nautical goodies in stock. 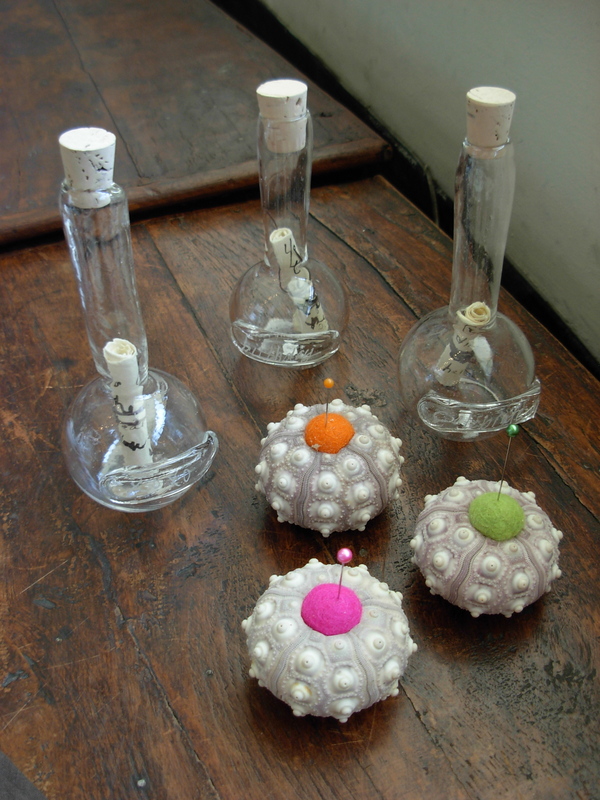 Urchin pin cushions and message scroll bottles are terrific gifts for your family, friends, or yourself. Anchors away! We've got tea infusers and bottle openers to keep you and your beverage afloat. Our beloved peony candles have found new friends! 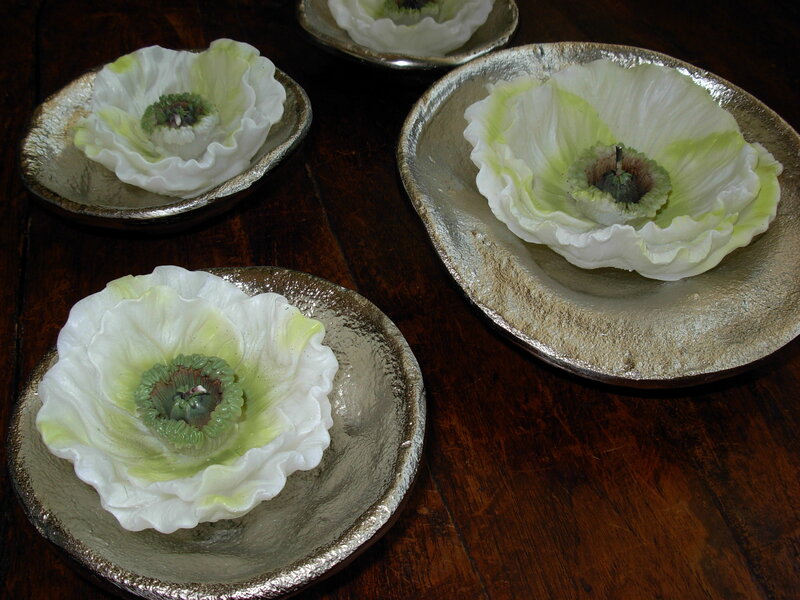 Take a peek at our amazing Icelandic poppy candles. The weather is marvelous, so take a stroll and see all the new treasures at New Stone Age this month!